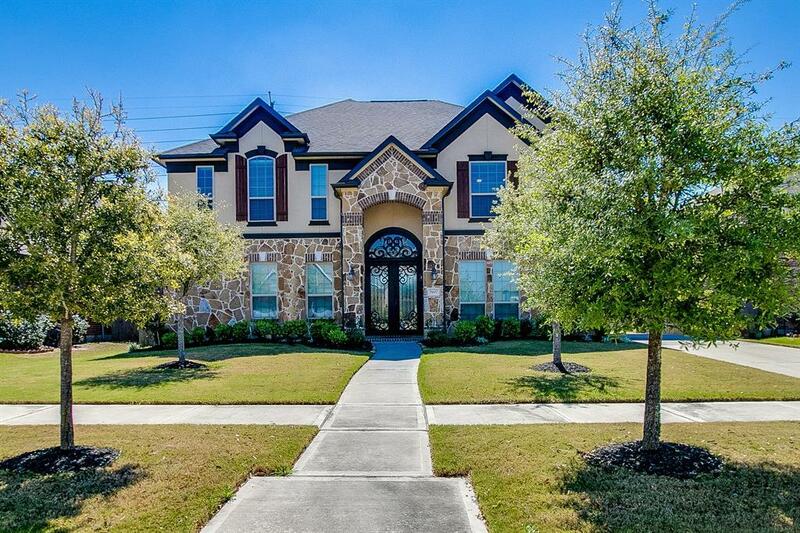 BEAUTIFUL NORTH Facing Home on oversized 10,000+ square foot lot with NO DIRECT BACK NEIGHBORS in sought after Riverstone. 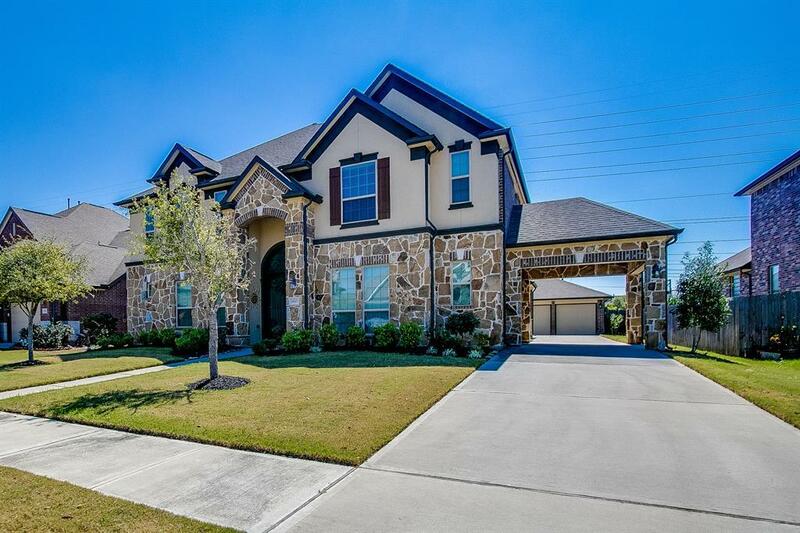 This recently built home is loaded with options and upgrades. It starts at the entry with your elegant iron double front door. 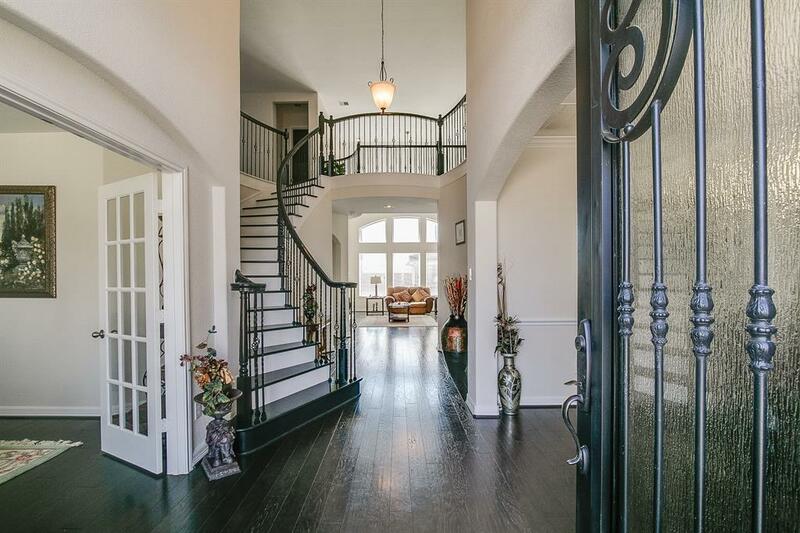 As you step inside, you'll be greeted with high ceilings and plenty of natural light. Gorgeous wood flooring on the first level gives the home a warm feel. 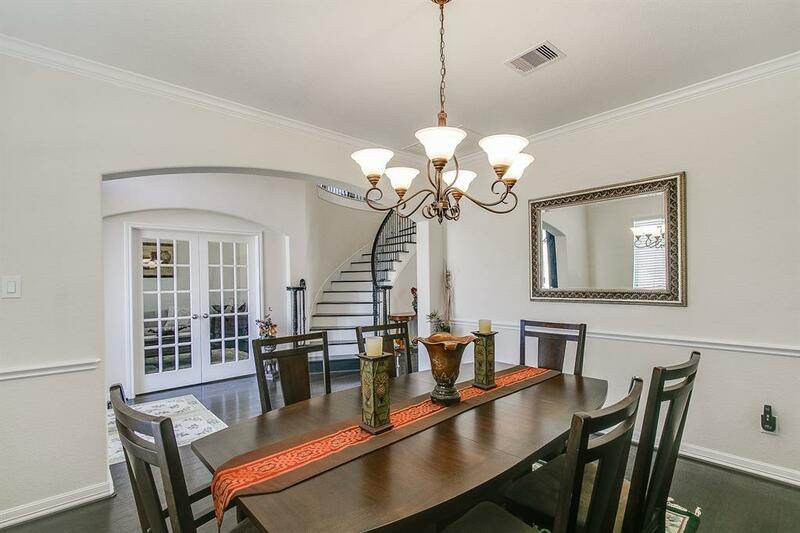 The gourmet chef's kitchen has a high granite island bar and upgraded cabinets and back splash. The master suite is spacious and features a spa like master bath to go along with his and her closets. The secondary bedrooms upstairs are all good size. Media room is currently being used as an extra bedroom but is waiting for your finishing touches. Step outside and enjoy your outdoor kitchen and huge backyard along with the privacy that comes with no back neighbors. Detached 3 car garage allows for extra storage and driveway space. ASK US ABOUT OUR RELOCATION PROMOTION!